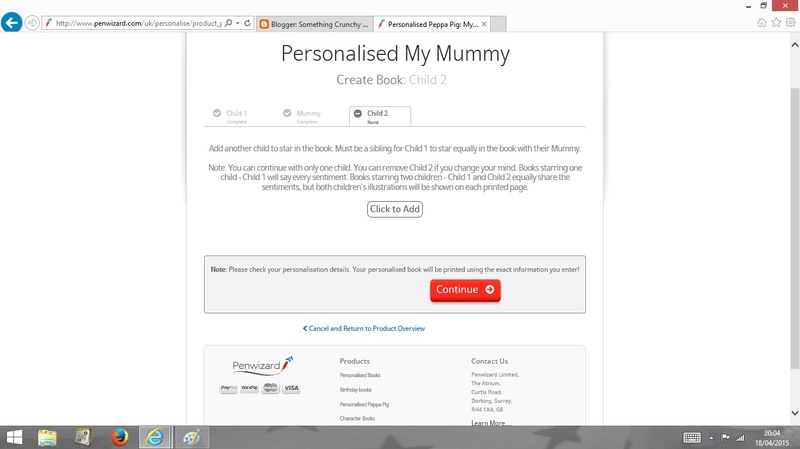 I was very excited when Penwizard asked us to review one of their personalised books. They said we could choose any design that we liked from their website. We popped on over and as this was a personalised book I thought it would be quite a lengthy process but to my surprise it wasn't and it was so easy to do. There are loads of story books for you to choose from such as Peppa Pig, In The Night Garden & Ben and Holly. They also do personalised books about your children, for example there is a personalised wizard book where you child goes to wizard school. 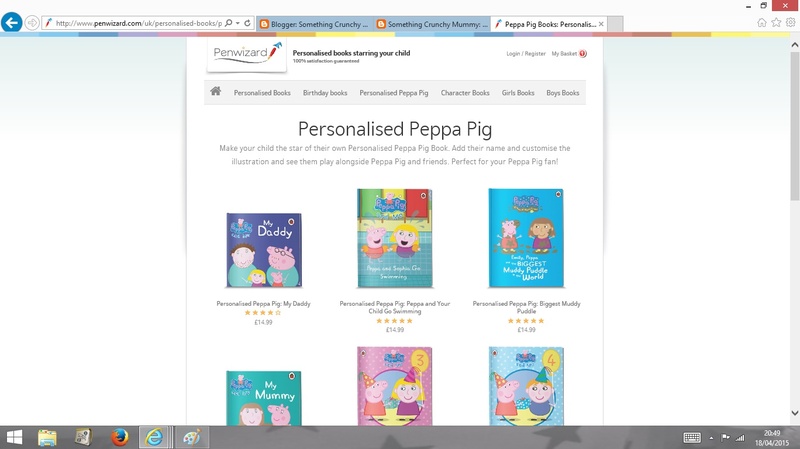 We chose the Peppa Pig book as both the boys love Peppa Pig. Once you have chosen your character, you then choose the story. 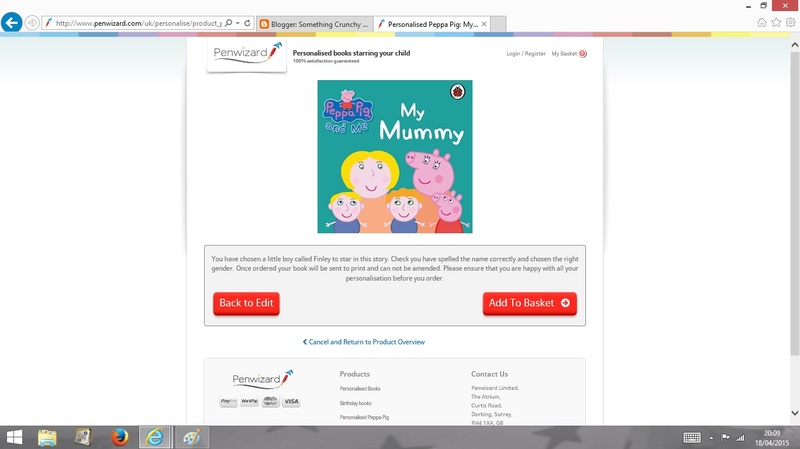 We went for My Mummy but there is also My Daddy and books about your child doing activities with Peppa. 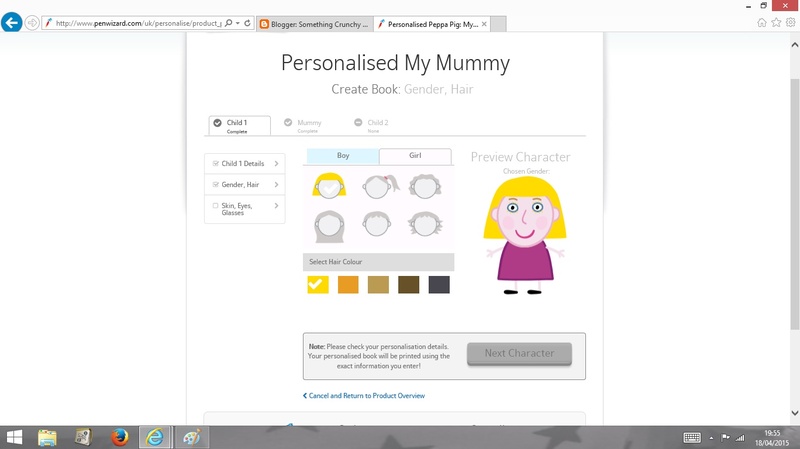 Once you have selected the book you would like you can start to create the characters. So the first step is to name and personalise child 1. 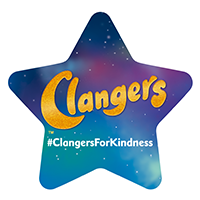 You input their name along with choosing their gender, hair colour, skin colour, eye colour and whether your child wears glasses. This is so straightforward to do and the options are very simple so it doesn't take to long. 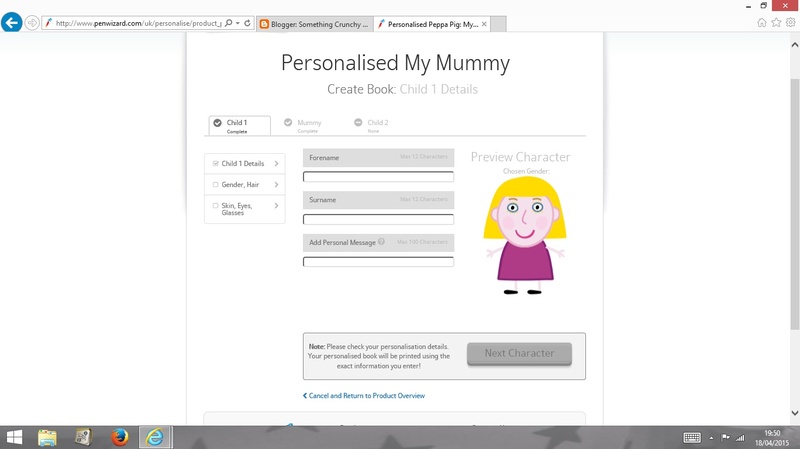 Once you have personalised your first child character you get to personalise the adult character in the book. 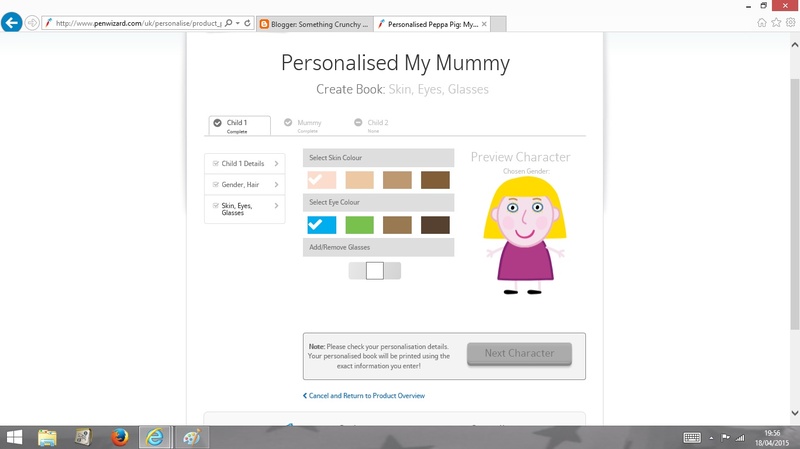 As the book we had chosen was My Mummy we got to personalise my character. This again is just like the child character and so easy to do. After creating the adult character you get to choose child 2. It explains that child 2 should be a sibling of child 1. It was the same process as creating child 1 and again very simple. 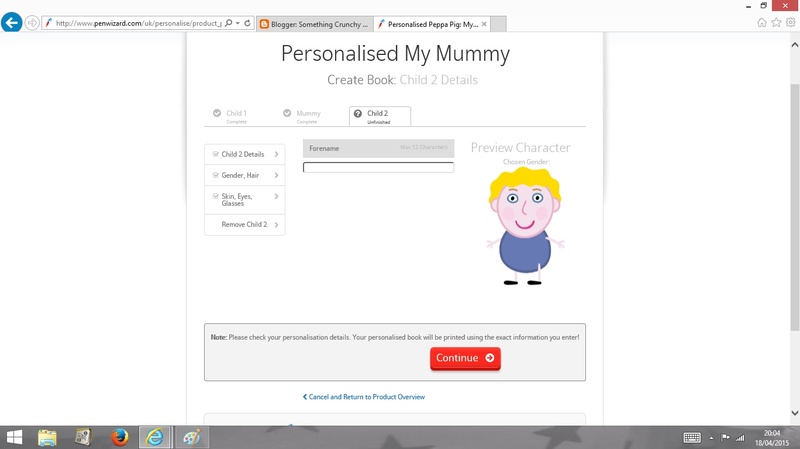 When all the characters are complete you select continue and it takes you to the page for you to see all your personalised character together and to then add the book to your basket. Once you're happy you go through to the payment screen where you're asked for your details including delivery address and payment details. I ordered my book last Friday, 10th April and I received an email on Tuesday saying my order had been dispatched. The book came through the front door on Wednesday. I am very impressed with the quick turn around considering I ordered it just before a weekend and its a personalised book. I couldn't wait to show Finley and Noah. I decided to wait until bedtime and placed it on Finley's bed ready for them both to jump in, as part of our nightly routine of milk and book in Finley room. When they saw it they were so excited at the fact they had a new book. And then when I started reading it and they realised it had their names in they were amazed! The book is perfect with large writing and large pictures. Its a hardback book with paper pages. It's very colourful so captured my boys attention straight away. Also it wasn't too long. My boys are 3 and 1 and their attention span isn't that long so when we read long stories they get a little bored. But there was no way of them getting bored with this as their names kept popping up. And the words in the book are lovely and really depicts everyday life with a toddler. We have read the book every night since we received it and the boys aren't tiring of it yet. The quality is 10/10 and I would totally recommend this! It's something really special for the boys to keep and even when they are older its a lovely keep sake of their childhood. The books retail at £14.99 with a delivery charge of £3.50 in the UK and free delivery on orders over £35 in the UK﻿. This sounds fantastic. Despite my personal issues with Peppard pig the boys love it. So this would ideally suit them. Might need to have a look for birthdays coming. This looks great- we've been given a similar book which the girls loved but not hardback like this.